From the Harlem Globetrotters to Disney on Ice, popular bands, and sporting events, Barclays Center in Brooklyn, New York offers an appealing menu of mega-watt entertainment for families and kids. 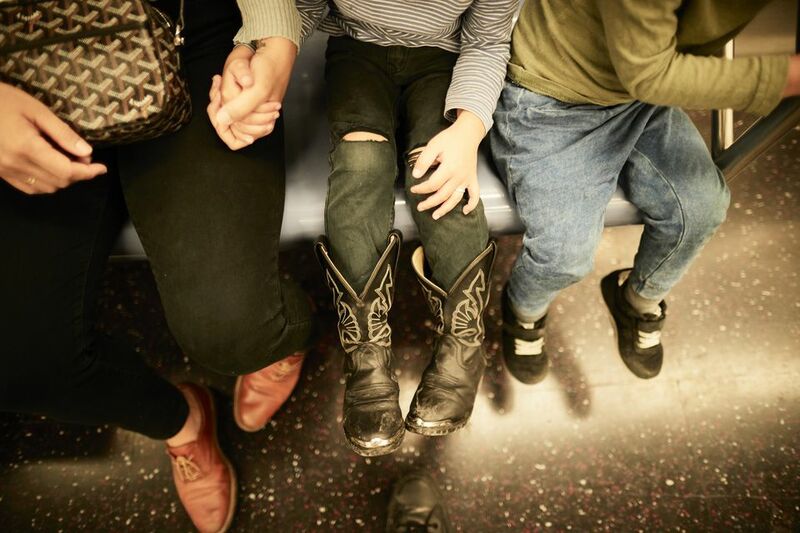 Whether you live in Brooklyn and want to splurge on a Nets game, or you live in the 'burbs and are bringing the kids into New York City for a holiday music or entertainment show, here are some smart parenting tips for having the most fun (without breaking the bank) at family shows at the Barclays Center. Barclays has a lot of ​family-friendly programs, but not everything will appeal to everyone in the family. The Barclays Center website has all the information you need about upcoming shows, dates, and ticket prices. It's important to note that tickets aren't cheap (this is New York City, after all) so it's always best to choose wisely and select a show that your whole family will enjoy. Outside food is not allowed in the venue, so leave your picnic at home and perhaps check out one of the Neighborhood Restaurants Near Barclays Center, or if you'd prefer to eat on site, there are some Great Eats at Barclays Center. Pepsi fans, Coca-Cola is the “official” soft-drink brand of Barclays Center, so you will be out luck, and due to New York City's Sugary Drinks Portion Cap Rule (most commonly referred to as the Soda Ban) the sale of heavily sweetened drinks (most often, soda) more than 16 ounces is prohibited. For the adults, beer, wine, and spirits are available at the on-site bars. Interested in shopping before or after the show? You're in luck: there are shops located outside of Barclays on the ground level, inside the center, and there is a shopping mall across the street. Outside, on the street level of the Barclays Center, you will find retailers like The Nets Shop by Adidas, Rocawear, MetroPCS, and Elbow Room. Inside Barclays, you will not suffer from a lack of shopping opportunities, either. Depending on the show you choose, you may be able to purchase Disney trinkets, Brooklyn Nets merchandise, and Brooklyn t-shirts, or all of the above. For practical, everyday shopping with chain stores like Target and Victoria's Secret, head across the street to the Atlantic Center Mall. The best piece of advice for getting to Barclays is to use mass transit. Barclays Center does not have on-site parking. So save yourself the hassle, and bring the family by public transportation. It's cheap, fast and reliable. And the Atlantic Avenue subway stop, now known as Barclays, lets you out right in front of the stadium. Arriving by subway, you don't even have to cross a street to get to the main entrance. If you choose to take the subway, you have 11 lines to choose from, or you could arrive via the Long Island Rail Road, or even by bus if needed. If you arriving via bicycle, Barclays has free bike parking for up to 400 bikes directly on site, but it is on a first-come, first-served basis. There is ample security presence at Barclays Center, but of course, it's common sense to keep your eyes on children in a massive area. Family restrooms are available, so you can easily accompany your child to the bathroom. Always make sure your family's cell phones are fully charged and bring a backup charger, if necessary. Once you leave the venue, you are not allowed to re-enter. Barclays Center does not have a coat check, so it's important to plan accordingly. Food is sold at Barclays, and some of it is very good, but if you are trying to cut costs, give the kids a good breakfast or lunch before the show. Most shows and sporting events have at least one intermission. This break enables the crowd to use the facilities, get some food, and explore the center, but make sure to check the website in advance for intermission times. Brooklyn is a very informal slice of the Big Apple. Some people dress to the nines, while others are more casual. Barclays has a much more relaxed atmosphere than Lincoln Center so you and your children can feel comfortable in jeans and sneakers.